In many ways, the relationship between Destinations International (DI) and Association TRENDS (AT) was a match made in heaven. 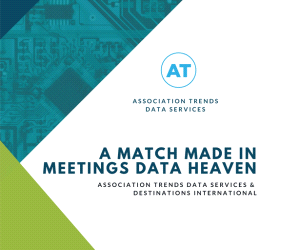 AT's data expertise and market strength in the associations and meetings space compliments DI's need for a competent data partner to enhance and grow their EmpowerMINT member benefit database. Check out this case study to see how AT worked together with this association to create a successful partnership and provide a great product.